DE ROZE POORT© or The Pink Gate is for pink 50 plus citizens. So all gay, lesbian, bisexual, transgender, open-minded, wondering and intersex people are welcome. 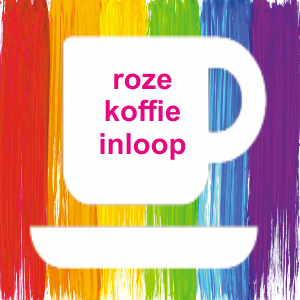 The use of the word ‘roze’ pink hails back from WWII, when the Nazi invaders ordered that gay men and lesbians had to wear a pink triangle to identify them. 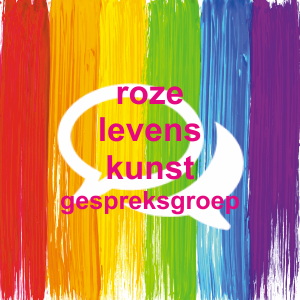 After the war the color pink became a nickname for GLBT people in the Netherlands, a name they still wear with pride. We started as a private initiative and are now a foundation , we still work with professional people to bring our older community members into contact with other like-minded people. This can be done with just a cup of coffee or tea, a meal or a conversation group. We do that with help from residential care homes and community centers, they provide us with the space in their buildings, but there is also the possibility of one-on-one conversations with a medical professional at someone’s home. At the moment we are located in four districts of Amsterdam, in the Hugo de Groot area in the western part of the city, in the Buikslotermeer area in Amsterdam-North, in the Bijlmermeer area in the South-east and also in the centre of town at Nieuwmarkt, in all those locations we have different activities. On this website we have a blog but also other information, we show photos of our activities, but only with the consent of the people on it. But also recipes for 1 to 2 persons. The city of Amsterdam was once a walled city, like so many other cities in the Netherlands and abroad. The last wall had 8 gates to the surrounding country side. From those eight there is only one gate left in the city, the Muiderpoort, the rest were demolished in the 19th century. That gate or poort is the namegiver of our foundation. 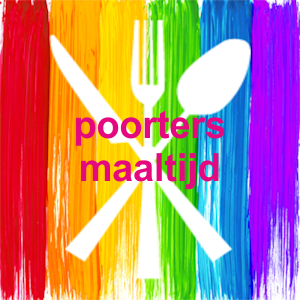 Our registered visitors will become ‘Poorters’ Burgesses, so they really feel part of a community. They even get a (real) key of the Gate. As of October 18, 2018 this website will be part of the Netherlands digital heritage at Koninklijke Bibliotheek (Royal Library) at The Hague. Our official start was on September 30, 2016, during the Week against Lonelyness. Alderman Welfare and Care, Mr Eric van der Burg performed the official opening ceremony. As a try-out, every forthnight on a Friday afternoon a Poorters Meal was served for cost price. Next to that people can get to know each other, when it fits in the theme a movie can be shown or an artist will perform. This try-out will change a little, in 2018 it will be held in every odd month on the third Thursda, on a new location, which has more atmosphere and is better equipped. Afterwards we show a film, or have a lecture or performer. We have a Pink Coffee Walk-in in all our locations, which are held every two weeks. Each location has its own day. Everyone is welcome for a good cup of coffee*, some small talk or information on what is going on for elder GLBT-ers. *We have tea too… and a cookie! In the mean time we’re looking for other locations for the Pink Coffee Walk-Ins, maybe even with a partner. Our Pink Life discussion group will meet on Monday afternoon, also every two weeks. At the moment the youngest of the group is 61, and the oldest is 95 years young. They talk about themes they came up by themselfs, or something that happens in the here and now. 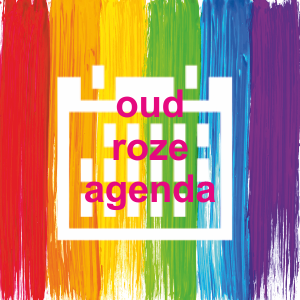 Another feature is ‘OudRoze Agenda‘ the Old Pink Agenda, an agenda with tips for GLBT people in Amsterdam, and sometimes in the neighborhood of the city. 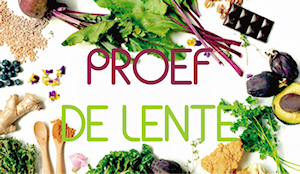 the Agenda is in Dutch only. Next to that we give information on art, culture, movies and the like, in a PDF magazine, which you can download or read on ISSUU.